Congratulations to 86 organisations working with young people across the country receiving good news on grant applications… I am committed to supporting this vital work. 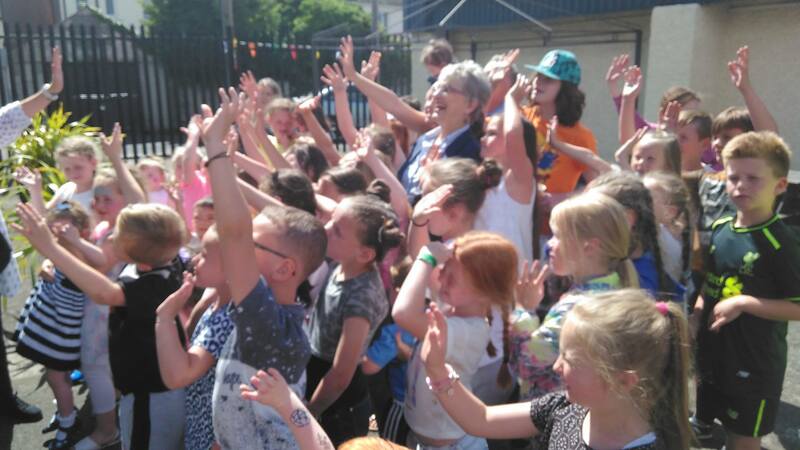 Dr Katherine Zappone TD, Minister for Children and Youth Affairs, has today (Mon 8th Aug 2016) announced the allocation of 94 grants to 86 youth projects across the country to fund small capital projects. · Type Two, which will fund health and safety improvements to premises or the upgrade or refurbishment of premises, including the purchase and installation of kitchen and toilet facilities or improvements to enable access to young people with disabilities, including those with physical or sensory disabilities. Minister Zappone stated: “I am delighted to be in a position to announce the allocation of these grants to the 86 successful applicants. Across the country I have witnessed at first hand the vital work youth groups are carrying out in local communities. By working with young people on the ground youth clubs, groups and organisations are providing a real alternative to hanging around street corners. The range of activities is sparking passion, vision and dreams amongst teenagers who want a say in the future direction not just of their communities but of our country. I am fully committed to ensuring these voices are listened to and acted upon. The funding now being provided will support a variety of activities from sport, cooking to IT services. The Minister thanked Youth Officers in local Education and Training Boards for their work in supporting local youth projects and their assistance to his Department in the operation of this scheme. The Capital funding scheme was open to applications from Department of Children and Youth Affairs funded projects under the Special Projects for Youth Scheme, Youth Information Centres, Young People’s Facilities and Services Fund and Local Drugs Task Force (21 mainstreamed projects) schemes, along with organisations in receipt of Youth Service Grant Scheme.